One of my readers was asking my opinion today about an ebook reader that he wants to buy, and he ran into a problem. Andrew was looking at getting a cheap Delstar OpenBook. 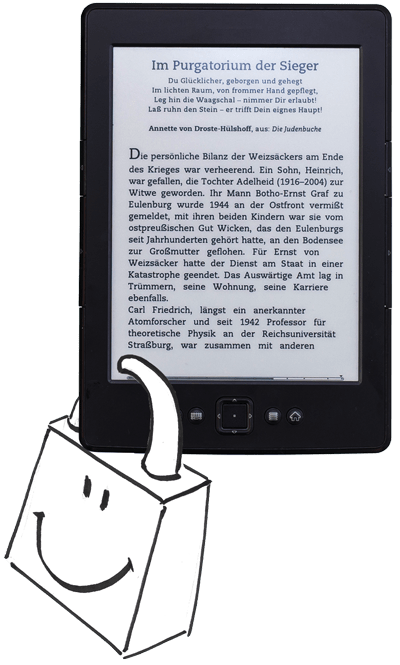 It's not a very good ereader, and now that the company is dead (okay, there are 2 problems with this device). So you need to find DRM-free ebooks like the five stores and sites I mentioned in this post. There is also a list of DRM-free ebookstores and free ebook sites over on MobileRead. I'm not sure how complete it is, but it's start. >Explaining how to remove DRM is more than a little technically complicated. It’s not, it’s just illegal to remove DRM and that’s why you don’t want to explain how to do it in your blog – which is fine, but just please be honest about it. Otherwise you just sound patronizing. Right now, you don’t even need to install Python, it’s just plugins for Calibre, so how much less technically complicated should it get before people start to be honest about it? Actually, it’s not completely clear that removing ebook DRM is illegal. And even if it were, I could get away with posting instructions by winking at the exemption for the visually impaired. Telling them how to bypass DRM ( so they can use TTS) is completely legal. TBH, the real reason I don’t link to it is that I don’t want the reputation of providing tech support for this. BTW, I’ve linked to 1-step DRM removal apps before. Look, after my comment you changed your text, so I’m quite satisfied and think you actually accepted my point. Thanks. On a related note, I’ve been doing this so long that I can remember when it was technically complicated. Please excuse me for my senility. Agreed finrind, it is quite simple. Removing DRM is also the only way to truly backup your ebooks. Yes, you can back them up the way they are, but what if you get a new device? The files on your ereader are encoded only for that device. If you want to make sure you still have access to your ebooks, regardless of device or if the company goes under (B&N? ), you have to remove the DRM. Although it’s illegal to remove it then share the files, removing the DRM for the personal use of backup still hasn’t been challenged so it’s not necessarily illegal. In the past, creating a backup was considered a legitimate use of making a copy. Hey, I wasn’t saying that no one should remove DRM. I was only saying that it’s not complicated nowadays, so if you don’t want to tell someone how to do that, name you true reason. Up until this post I still haven’t really figured out how to remove DRM. I haven’t tried this system yet so won’t know about this until I try it the next couple of days or so. Tried a couple of different ways in the past including calibre but had no luck. Have been waiting for a truly ‘easy’ way to strip DRM. It is simple, I own it, I want total access. Just like with paper. Unlike with paper, I don’t want to sell it and I have no intention of making a copy of it, I just want access to the file so I don’t loose it!